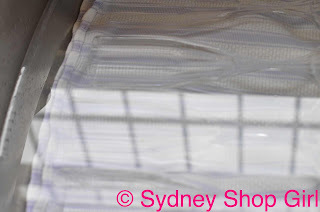 Sydney Shop Girl: Winning the Battle of Bayswater. Facing Real World Prices At Officeworks. Winning the Battle of Bayswater. Facing Real World Prices At Officeworks. It was a surprisingly long and torturous path but I finally emerged victorious. I speak of The Battle of Bayswater. The lines were drawn last Friday. DHL refused to leave the package despite my having provided written authority to do so from previous deliveries. Emails and misleading text messages flew between the camps, rarely hitting the mark and achieving anything. 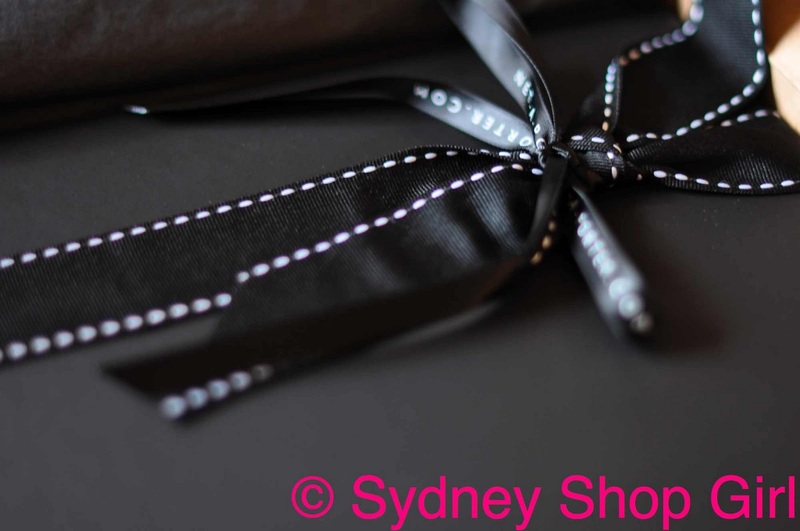 Net A Porter is a special case for DHL, no parcel is to be left at an unattended address. No exceptions. I was irrationally upset. I know the world is pretty ugly at the moment. The floods across Australia, the snow storms threatening to cut off many major cities on the east coast of the United States (again), that horrific shooting in Arizona where 6 innocent souls died (including a 9 year old girl who was born 9/11 and lived to promote peace and her favourite sport, baseball). I shouldn't be this irate over having a good half a day of my time 'wasted'. But I was and I feel ashamed. Definitely a source of frustration I need to leave behind me this year. Finally, this morning (not that I was peering out from the front blinds or anything), a red and yellow DHL truck parked itself across the road from my house. It's a quiet suburban street and there could only be one reason it was there. Parcel delivery. Hopefully for me. It was and it was the bag. I love it. The colour (oak) is prefect for summer and beyond. It is a perfect size for work and the leather smells of new adventures. Despite my perception that all that time waiting for the DHL man was 'wasted', I actually got through a fair few jobs at home. In hindsight, the time at home allowed me to get through my jobs at a leisurely pace and actually enjoy what I was doing. 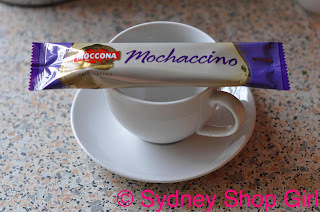 I made a Moccona Mochacinno. 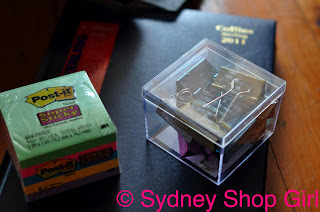 Australian readers will know that this is indeed a time intensive exercise. Firstly, the water can't be boiling, it must be just 'very hot'. Minutes spent waiting for the water to cool down from the kettle. Or you could just use some cold tap water now that I think about it. Then, the stirring to get rid of all the lumps at the bottom and the lump crushing (which must be done with a light hand). 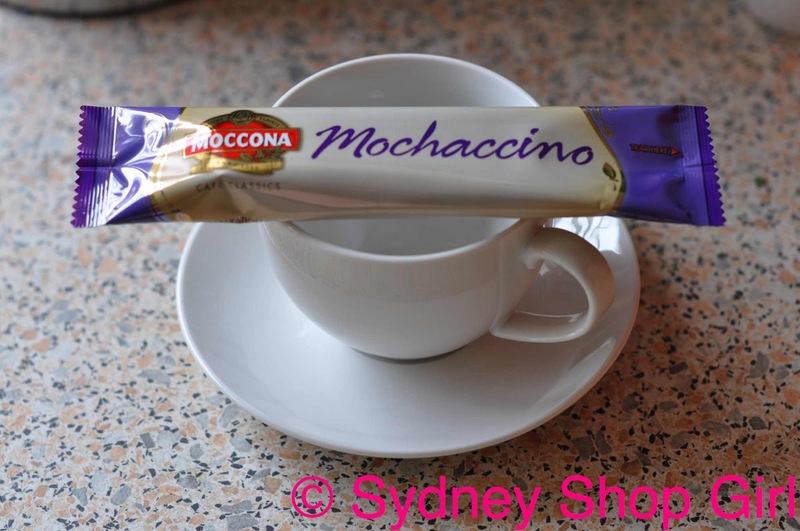 It's all well worth it for a pretty good instant coffee. I discovered that the Max music channel has a mean daytime play list. George Michael. What more can a thirty-something woman ask for when doing the housework? 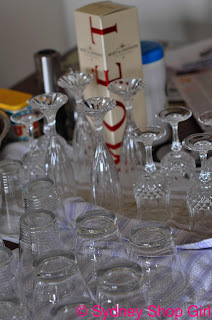 Then I cleaned the crystal for The Dinner Party on Wednesday. Following the wisdom of 'Spotless', I placed a tea towel at the base of the sink and added vinegar to the washing up water. I rinsed with warm water and lightly towelled them dry. Moet for display purposes only. No champagne was sacrificed in the line of crystal cleaning duty. It worked, I have a table full of sparkling glassware. Then, I got cabin fever and had to take a drive and hit the wide open road to Officeworks. 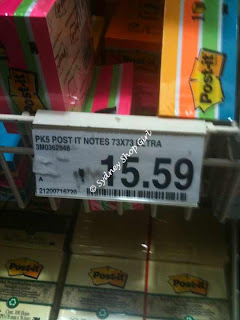 Where I was floored by the price of Post It Notes. I've never had to buy them in my working life. Prior to the intervention of the fun police, we were given promotional pens and stationery. No one took it too seriously or got persuaded by what was on the side of their pen or on the top of their sticky note but it all ended a few years ago. I'm used to buying my own pens now but sticky notes? It's one more step into a brave new world called Paying Retail For Stationery. 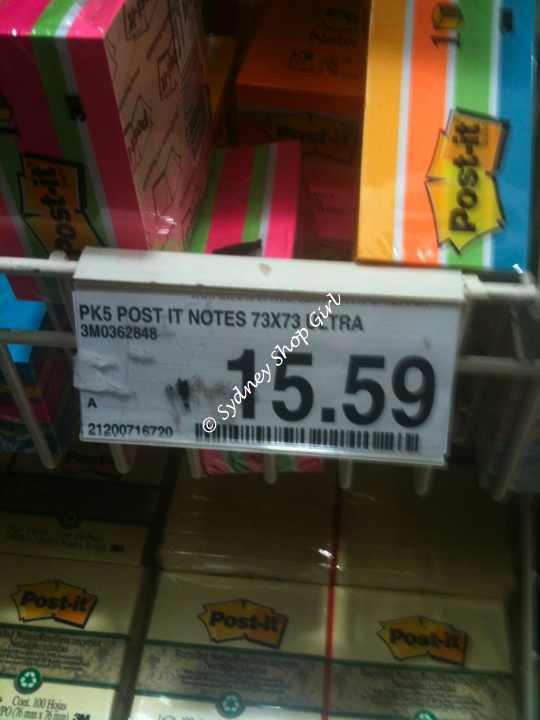 Well, if I'm expected to pay $15.59 for a packet of Post It Notes, I'm going to make the most of my time in Officeworks. 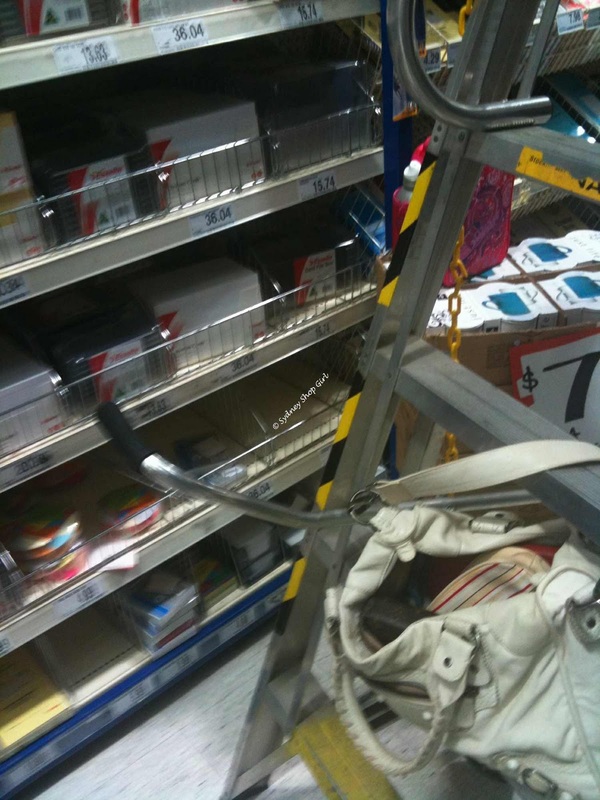 This sturdy wheeled step ladder (with convenient side rails), was a great place to perch my things as I mused over index cards. I'm decidedly old school. There's nothing quite as satisfying as a clear lidded plastic box of index cards on a desk. Preferably with a set of alphabetic plastic dividers in situ. Another element of a good work desk is the industrial strength stapler. 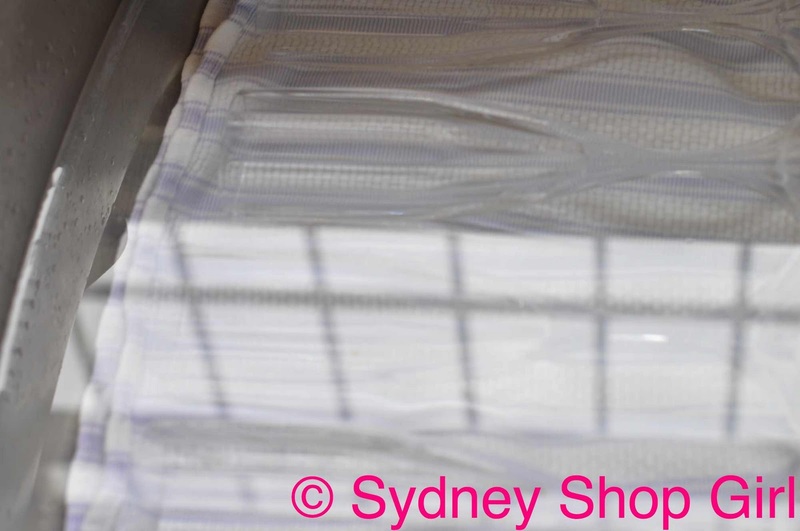 The ones weigh about 5 kilos (all the harder for it to be pinched), staple up to 90 pages together and never get weird staple jams. I had no choice in buying the pastel foil covered bull dog clips. They were the only good sized ones in the shop with bend back ears. I must have bend back ears on my bull dog clips. For good measure I got a page per view diary. Despite having a fully electronic personal diary on my iPhone, I like seeing work commitments on a page in my curious mixture of cursive and printing. Drawing a line through tasks attended can sometimes be the highlight of a tedious day. I sometimes write things just down so I can cross them out. Am I alone here? I've covered a fair bit of territory tonight. 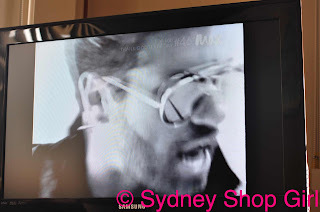 Handbags, domestics, stationery preferences and George (Michael as opposed to Clooney). Though, perhaps I do need one of those Nespresso machines for the work office. I made some super easy brandy truffles tonight. I'll write about it in a post for tomorrow. It would be information overload otherwise. I have NEVER heard of the vinegar in the water idea before!! Did you use white vinegar or brown?! Tell me! Tell me! Now. About that bag. IT'S BEAUTIFUL!!!!! I guess, there is always that one chance of it being taken if it's left on the porch. You'd feel sick to the stomach if that happened. SP: I've been admiring yours in your blog photos!! Mez: I just used the cheap white vinegar that I use for cleaning. Thank you for stopping by! Brilliant!!! That's what we have in the cupboard, I'm going to give the Martini glasses a shine down STAT! Thanks so much for the comment on my blog, give the potatoes a go, they are pretty easy. I'm now following your blog too... I see you comment on Carly's all the time but I've never thought to LOOK at your blog, I'm crazy!! Your blog's great. Looking forward to your future posts. Thank you for stopping by my blog! I must say that I am glad you did as your posts are so detailed and delightful to read! The price of stationary in Australia is indeed disgusting, and i swear everything in Aus is just going up and up and up. Its ridiculous compared to the UK! Loving the bag. Seriously loving the bag. Mez: thank, hunny! I love your blog too. Official follower as well. British Trash: thank you, I will drop by more often too. AFW: it's the morning of The DInner Party now. I reckon that's an indication to get to the bubbles soon. Amy: hello and thank you for stopping by. It's easy to use. Unfortunately, I don't have first hand experience with Birkins but the Bayswater bag is less structured than Birkins, judging from appearances. The flap just flops into place. Very practical design feature that. It's so beautiful. I love it. Hope it serves you for many moons! I saw a decent replica (well just the style) of it on ebay from a korean seller called ZeeJun so maybe I'll go for that for the time being. 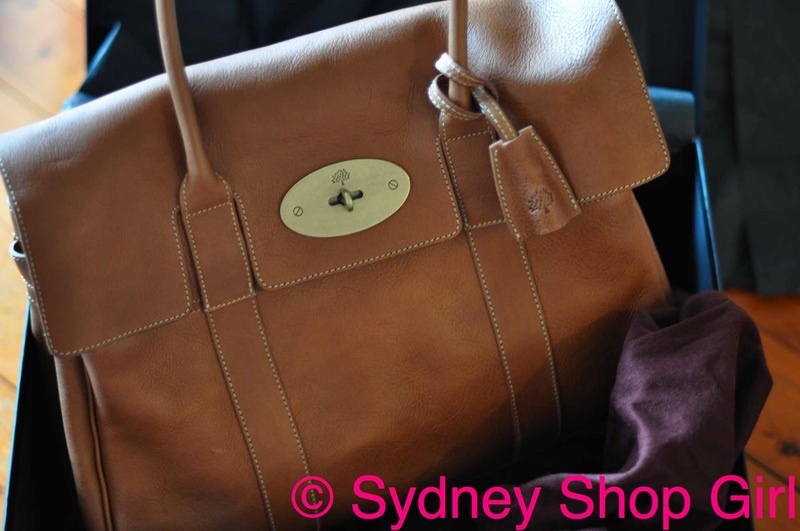 Love the Mulberry. As you know I have it in black and It Has Changed My Life. I luff it 1 million/10 (thanks FF!). I loved how you stalked the DHL man. I am waiting on so many things at the moment I don't have the heart to tell Mr K that he will likely have to stay at home for the next week to accept delivery of them all. Hooray - I share the Bayswater love! They're very versatile - you'll love it. Nice bag! The neutral tone means that it can easily match any of your apparels and accessories to go along. That is why whenever I am getting something for my wife, I go by that colour rule. So far, it has worked out just fine. As for the stationary prices, I have to agree that they are constantly increasing as each day passes by. I think that is just how everything is. Here in Perth, the situation is the same. That is why I only go for the cheapest storage while at it.